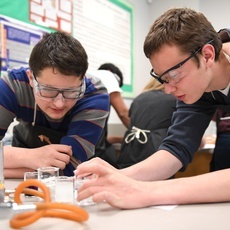 Learn more about Foothills Academy School and Community Services at our Open Houses. We start with a presentation at 10 am which is followed by a tour. From 9:30 – 10 am, staff will be available to answer questions about our school program and Community Services. Sign up today! We look forward to seeing you. We request that you register and let us know that you're coming through the registration link.